My dad founded our firm, and when he passed away suddenly in 1995, the firm fell on my lap at 22 years old. I was still in school, and I took the reins. I’ve been at the firm ever since. Our best clients for years have had one thing in common — the ability to identify and value good design. Getting a financial, as well as psychological, return on design investment happens through open communication. We take the time to talk with our clients and hear their feedback. This way, they gain clarity. We translate their needs into a design that they weren’t quite expecting … with a balance of surprise and stability. Clients can express desires and needs to us in a way that is clear, in an ethereal conceptual way that gives us room to bring in our creativity. One of our projects we’re currently working on is located near a national park. Green turtles lay their eggs, and to protect them, many restrictions are in place which affect our design parameters. To build the home, we were restricted to a single-story build, with a low maximum height, and because the clients want a swimming pool, it’s got to be built above ground to protect the baby turtles. Otherwise, the turtles could start going inland and fall into an in-ground pool. What do we do to meet the client’s needs and the turtles’ needs? We talk. The clients want the biggest home possible. The lot is 1200 square meters, and we can only build on 600. 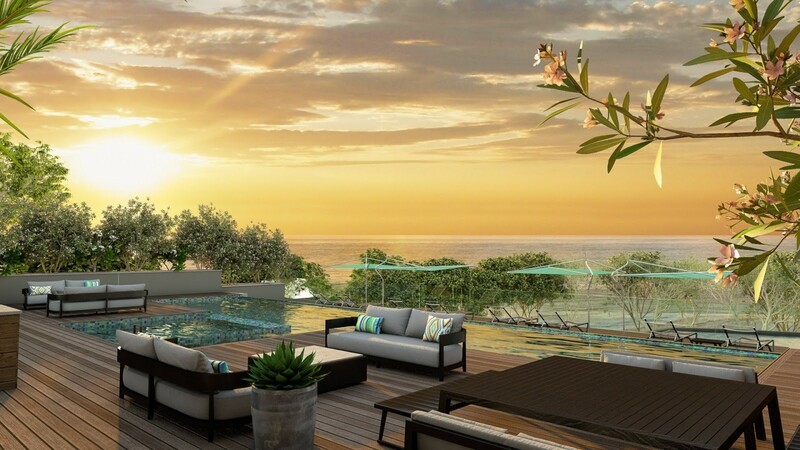 Our solution — place the pool on top of the house, which creates an additional gathering space, a roof terrace with an ocean view. As we presented the design to the client, I wondered, will she understand and envision it? The owner put the 3D virtual reality goggles on, and she was so engaged in the design, she didn’t even realize there was no pool. Then, at the end, we revealed the staircase leading up to the terrace, opening to the pool. She was blown away. She said it was the best design she’s ever seen. She would have never imagined that we’d have come up with this type of solution with the maximum size that she wanted, complying 100% with the park’s regulations. That’s what we mean by Return on Design Investment — giving the client the best value for their money and a psychological satisfaction. Also, this home will take in the highest rental fee in the entire community. Without this attention to detail, the result is bad design and that angers the community. Lawyers can get involved, and the client doesn’t always get what they want. The construction site, or even the completed project, can get demolished. What happens to all of the investment? Where’s the financial return? A person in this position could have saved a lot of money if he had hired a capable architect who communicates with everyone involved. Your luxury vacation home will surely affect your heart just as it will your life and your wallet in both the short term due to ease, being on schedule and being on budget (or the lack of those qualities) and the long term due to happiness and rental value. 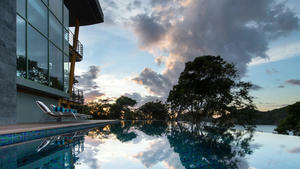 SARCO Architects is a small-sized boutique architectural firm located in San Jose, Costa Rica. It is a family business owned by Roderick and his wife, both of whom are architects. 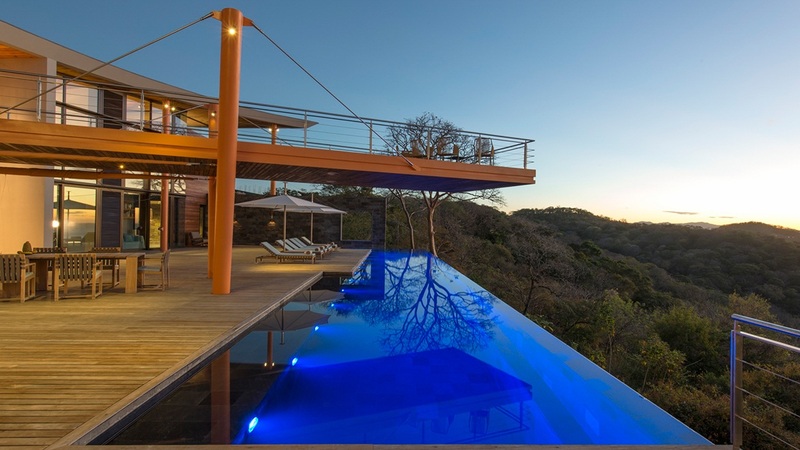 The firm works exclusively with international clients, providing high-end custom architectural design services for luxury vacation homes and investment properties in Costa Rica, Panama and the Caribbean.